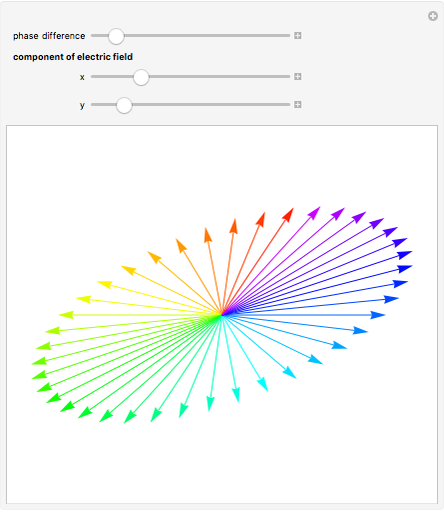 This Demonstration allows you to visualize elliptical, linear, or circular state of light polarization. 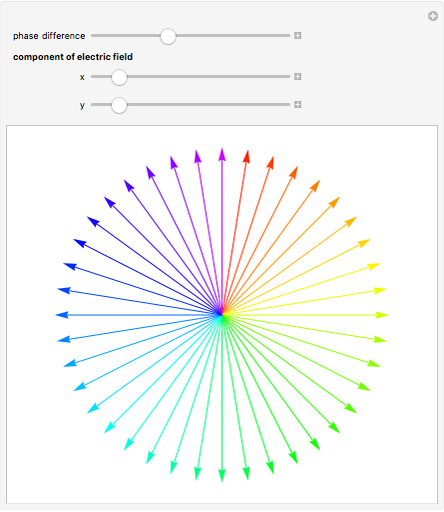 For a transverse electromagnetic wave propagating in the direction, any polarization state can be expressed in terms of linear polarizations along the and directions, which are transverse to the direction of propagation. 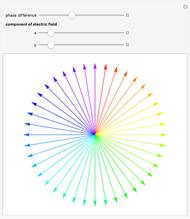 To visualize a state of polarization, vary the or components of the electric field (i.e., polarization), and/or the phase difference between the two—that is, the phase of the component relative to the component. 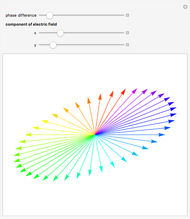 The direction of electric field rotation (for elliptical and circular polarization) is coded using the visible part of the electromagnetic spectrum: red &RightArrow; yellow &RightArrow; green &RightArrow; blue &RightArrow; violet. Snapshot 1: For the very special cases of 90- and 270-degree phase differences with equal and components, you get circularly polarized light. 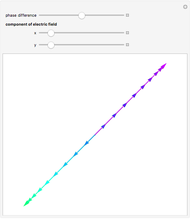 Snapshot 2: If the phase difference is nonzero, then in general you get elliptical polarization. Positive phase difference means that the component leads the component. For example, if the component leads the component by 0–180 degrees, and if the beam is propagating toward the observer, the observer will see it rotating counterclockwise. For a phase difference between 180–360 degrees, however, the observer will see it rotating clockwise. Follow the arrows: red &RightArrow; yellow &RightArrow; green &RightArrow; blue &RightArrow; violet. 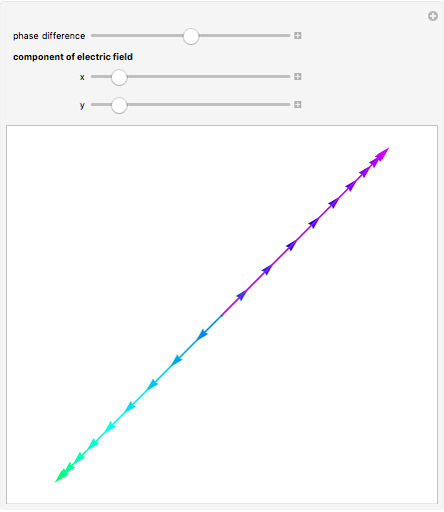 Snapshot 3: If the phase difference is 0, you get linear polarization, the direction of which is determined by the magnitudes of the and components. Ertan Salik "State of Light Polarization"